If you’ve been following our “Living rooms we love” series, you’ll notice that we don’t discriminate when it comes to style of decor or even the price point. With forethought and careful planning, you too can have a living room you love. Take these recent finds as food for thought and consider them your jumping off point for daydreaming — or doing! 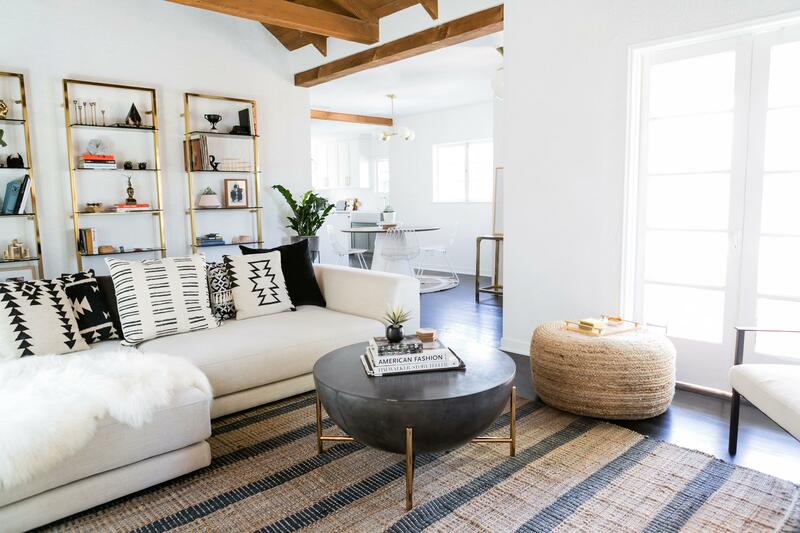 First up is the Los Angeles home by Whitney Lee Morris, who chose a simple valet jute rug to complement the Spanish-style home’s living room. For a total change of pace is Plum Sykes’ English country side home’s living room featured in Vogue. Herein lies proof that a mashup of patterns can yield warm coziness. Finally, we love this second-floor living room designed by Jan Showers, as well as the sheen on the rug underfoot.